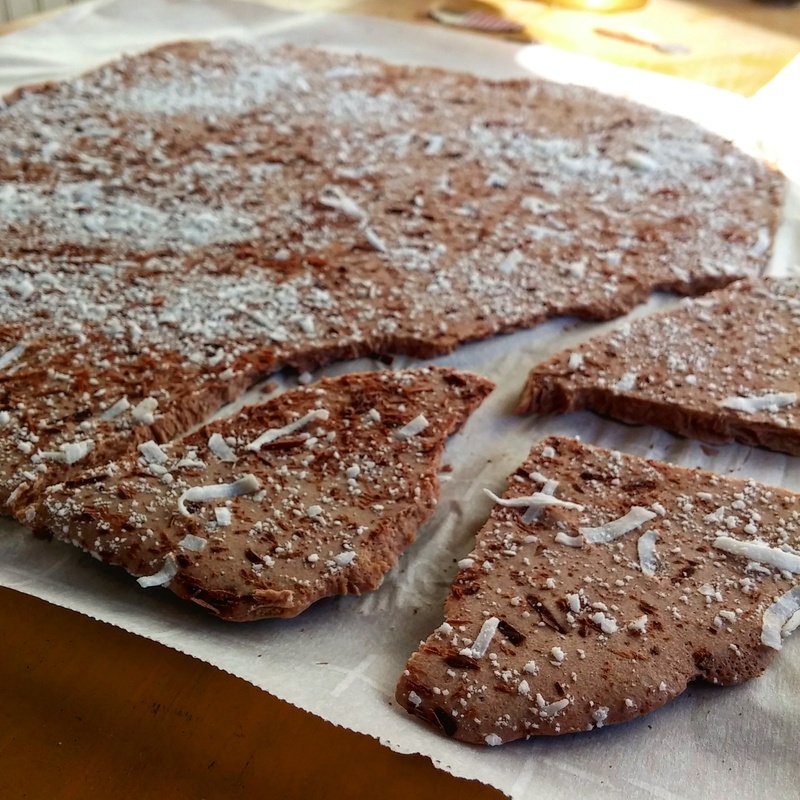 Coconut Cacao Bark – Love. Nourish. Heal. This six- ingredient treat will satisfy any of those warm weather ice cream bar cravings. 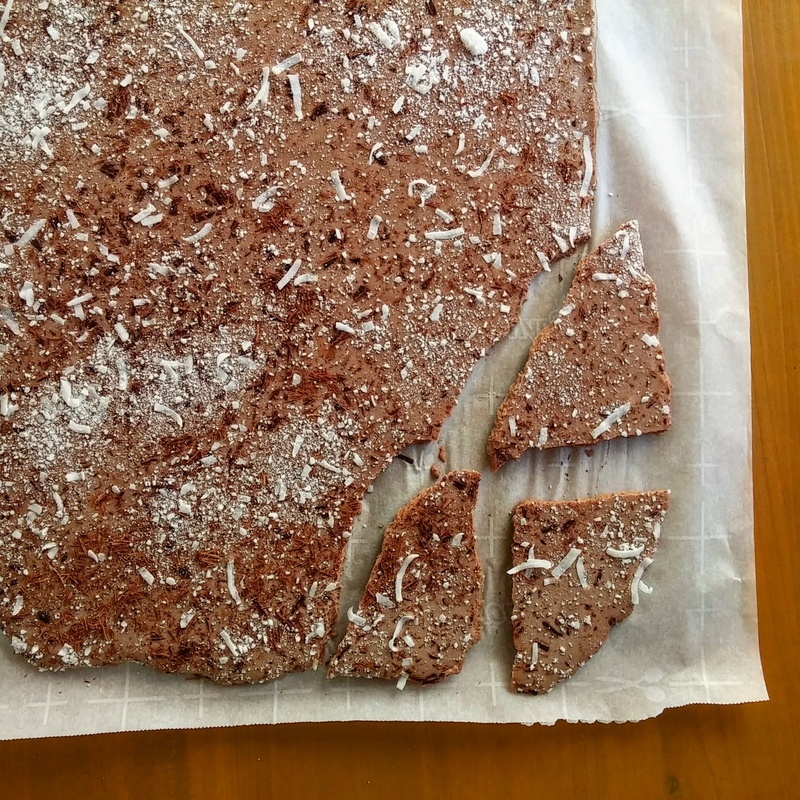 Each piece breaks off easily to provide a sweet, chocolatey taste that is good to your belly! Open the can of chilled coconut milk and scoop out all of the white cream into a bowl. Leave the clear liquid at the bottom to add to a blended drink. 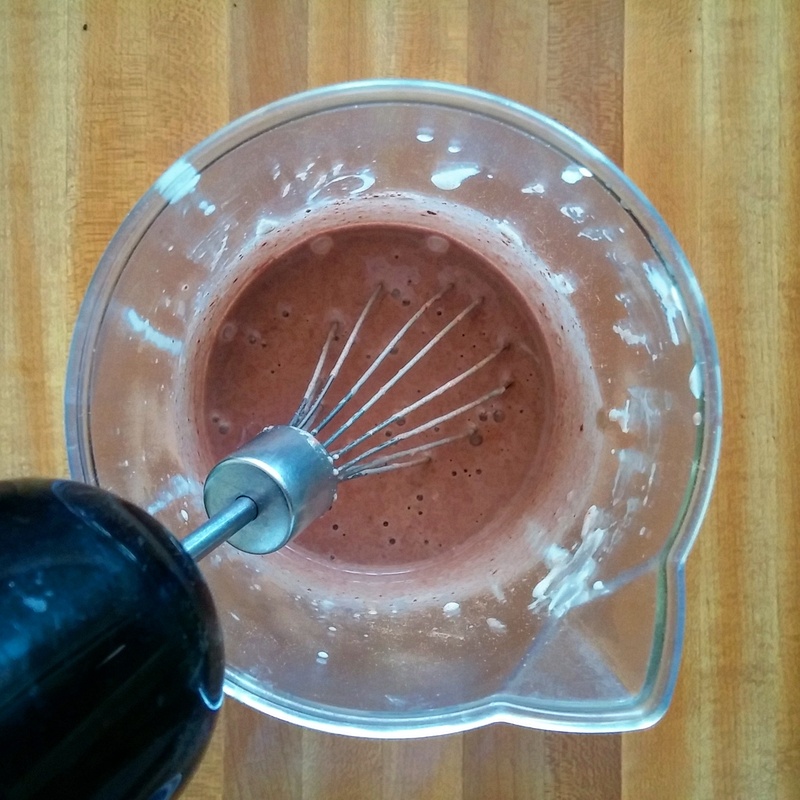 add the cacao powder, maple syrup, and vanilla extract and beat with an electric whisk for a couple of minutes. 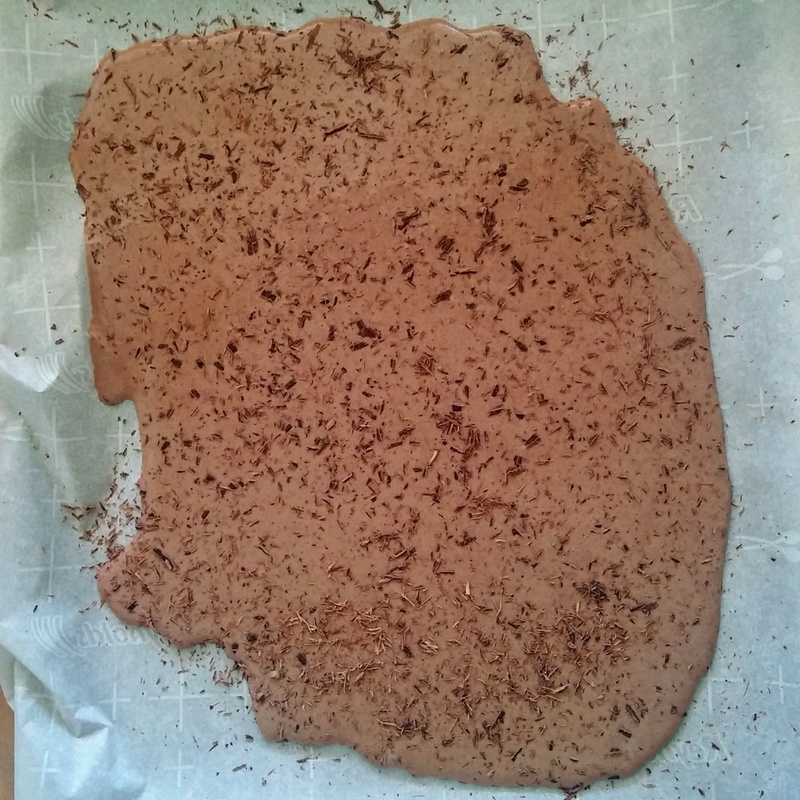 Line a baking sheet with parchment paper and slowly pour the mixture on top. Allow the sides of the parchment paper to fold up so that none of the liquid spreads too far. 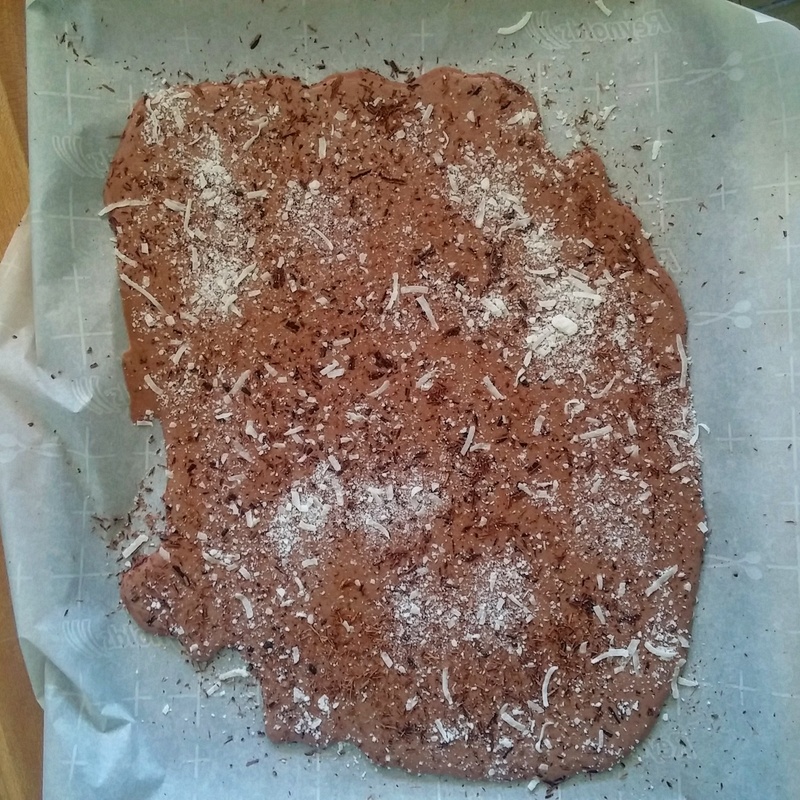 Drizzle the coconut and dark chocolate on top. Lay flat in the freezer for at least 3 hours. Break off a few pieces to share!